​You just knew the man was going to do it in style. Entering the Monday Night Football showdown between the Saints and the Redskins, Drew Brees needed just 201 yards to pass Peyton Manning (71,940 yards) as the NFL's all-time passing leader. 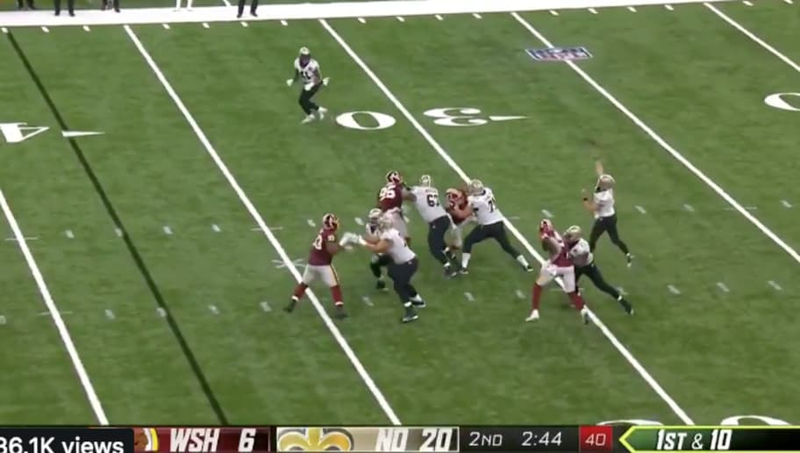 He did so with this 62-yard touchdown pass to Tre'Quan Smith. Just look at the reaction on his family's face. What an incredible moment. Brees will go down as one of the best quarterbacks EVER to play the game. Cheers to you, Drew.